#6 Wonderment Play Saints Row the Third - What Are We? Storm Troopers?! 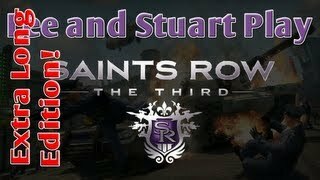 #16 Wonderment Play Saints Row the Third - What Is She Driving!! #17 Wonderment Play Saints Row the Third - The Car Is Beeping! #24 Wonderment Play Saints Row the Third - Does Gammon Turn You Into A Superhero?! #26 Wonderment Play Saints Row the Third - What Do I Do While You're Riding This Guy? #28 Wonderment Play Saints Row the Third - Do Hos Hold Hotdogs? #46 Wonderment Play Saints Row the Third - Space Brutina's Here!